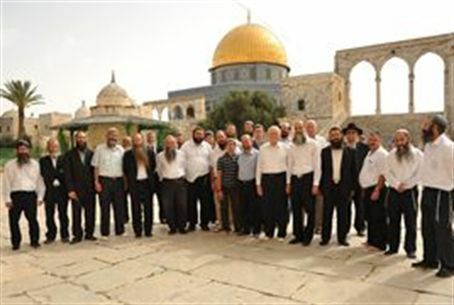 Comptroller prepares Temple Mount report dealing with Israeli sovereignty and Waqf excavations there. Only a small portion will be made public. State Comptroller Michal Lindenstrauss has prepared a report on Israel’s approach to Waqf excavations on the Temple Mount and on Israeli sovereignty there in general. Only a small portion will be made public, at a date of the Comptroller's choosing. A subcommittee of the Knesset Control Committee, named the Audit Committee of the Security Establishment re: Foreign Affairs, has reviewed the report and determined which sections can be published. Subcommittee chairman MK Otniel Shneller (Kadima), a religious Jew who lives in Samaria, discussed the issue on Arutz Sheva’s newsmagazine. The Temple Mount, the location of the two Holy Temples, is Judaism's holiest site, and is considered Islam's third-holiest site.